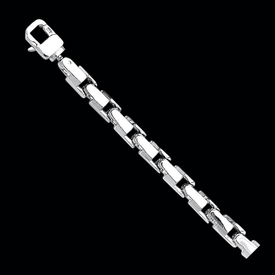 Platinum Bulky Link bracelet. 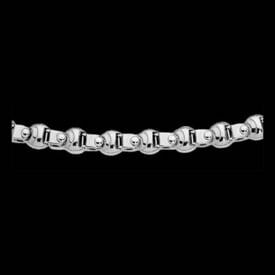 This bold bracelet measures 8.7mm wide and our price shown is for the suggested 8 1/2 inch length weighing about 96grams. Bracelet is secured with a heavy duty lobster swivel clasp. 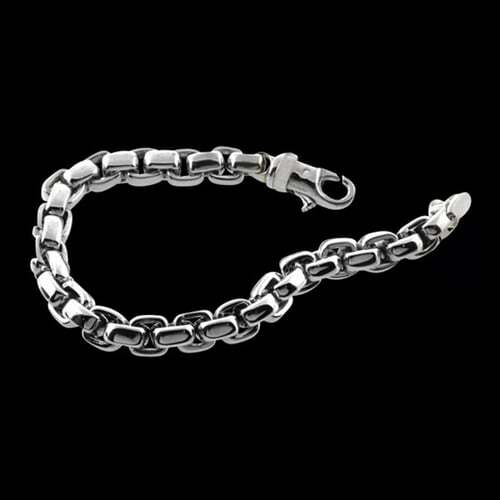 Our enduring quality Platinum Bracelet offers legendary style that will last a lifetime. Email for pricing on additional lengths.